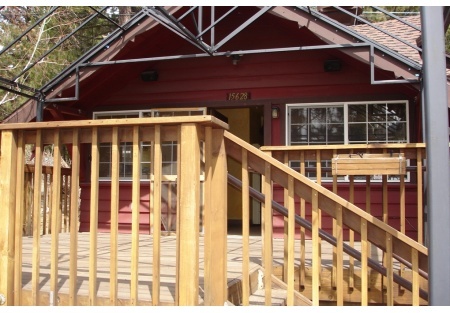 Located in the heart of the Truckee- Tahoe vacation area, this is truly one of a kind!! This property is on a .20 acre lot with a fully equipped kitchen, dining deck area, and a two bedroom apartment attached. The building has a large deck area that can be used for summer dining operations, and during the rest of the year, the kitchen is utilized for catering operations. Located on a corner lot in of the the busiest and most desired areas, this is one of a kind property. Also, you could live in the attached apartment or rent it out for additional income. The price includes the restaurant facility, apartment, building and land. At this price, it is a steal for someone that would like to work and play in this scenic area.